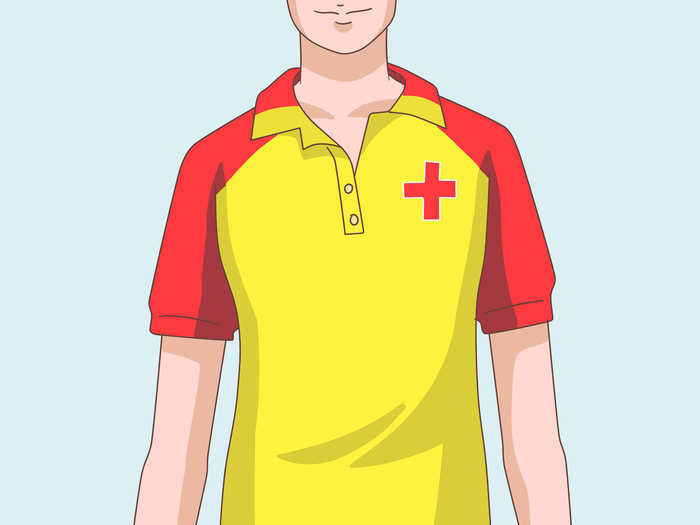 As a lifeguard, you are a trained professional as well as an authority figure. It helps to dress the part. Your guard suit should be worn at all times. Even if it is not that warm out or if there are only a few people in the pool, you should wear it. Rule of thumb: an article of clothing that says "Lifeguard" should be visible at all times. A suit or shirt is acceptable. 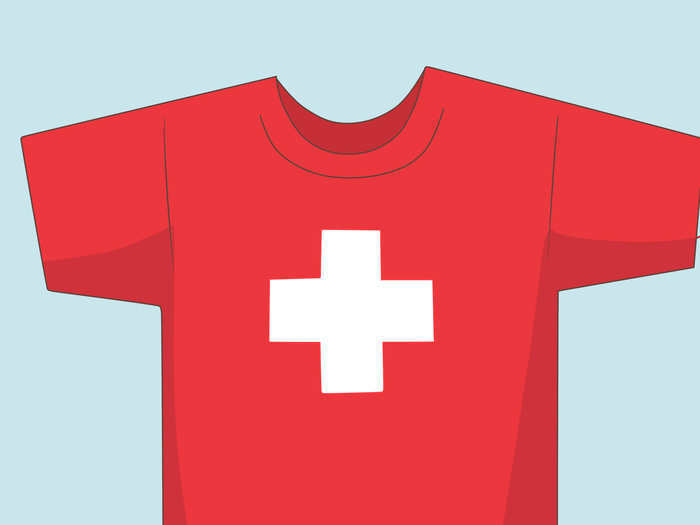 Your employers may issue a t-shirt, tank-top, or long sleeve shirt; this should be worn as often as possible. In hot weather, it is usually acceptable for male guards to wear just their suits. Female guards should wear their suits with black, navy, gray, or red shorts. 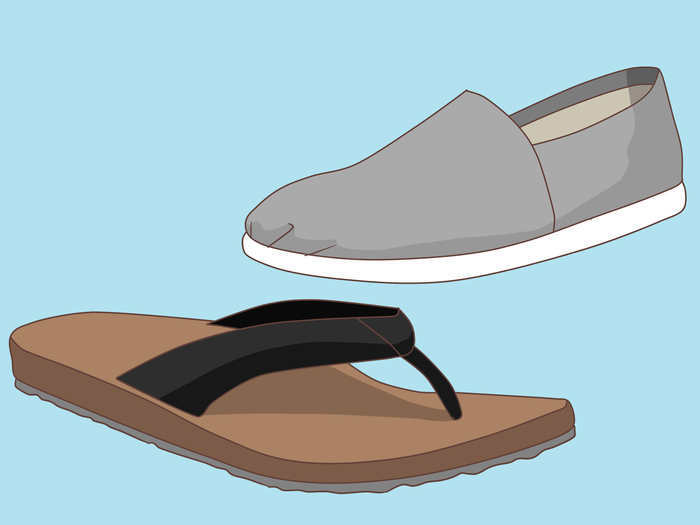 Waterproof flip flops or sneakers should be worn at all times. 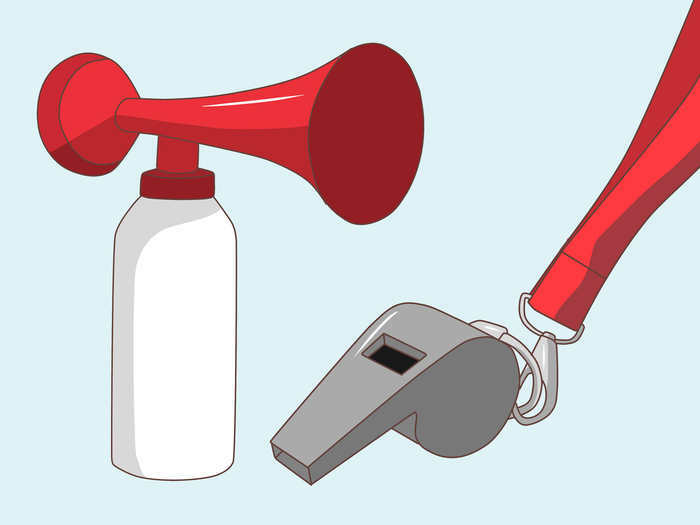 You should always have a whistle on a lanyard with you while on duty. Depending on your place of employment, you may also need to have a face mask, disposable gloves, or an air horn with you. 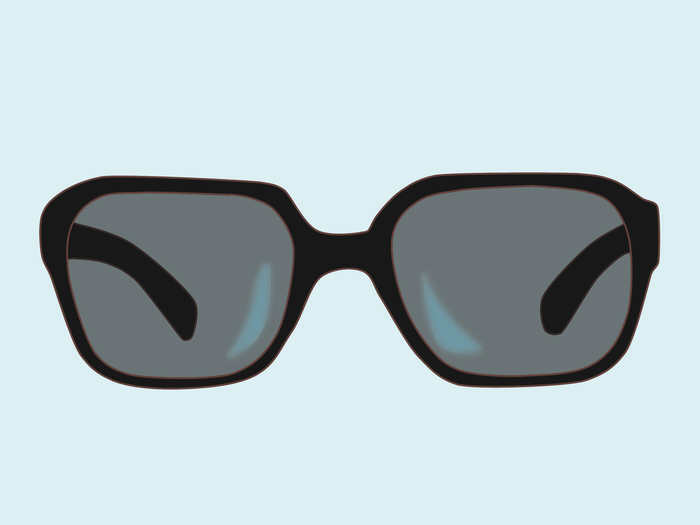 Sunglasses are very helpful when it's sunny or even overcast, since the light reflecting off the water can cause glare. Sunscreen should be worn at all times, even if you "don't get sunburn." If you are unsure about what you are wearing, ask yourself: If my supervisor showed up at the pool right now, would I feel uncomfortable? Would he/she say something? Or would I go and change before he/she saw me? Remember, even if you aren't sitting in the chair on duty, you are still a lifeguard and you are still expected to look and act professionally. For male guards, boxers shouldn't be visible under the suit. Guard suits are usually black, red, or navy. For female guards, rolling down the top of the suit and wearing a bikini top underneath while not on duty is generally not an acceptable practice. 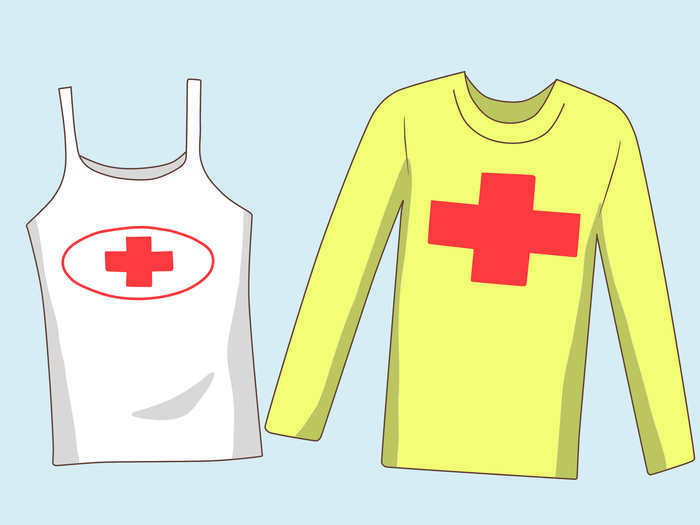 Contact a head lifeguard or supervisor for additional tips on what to wear. 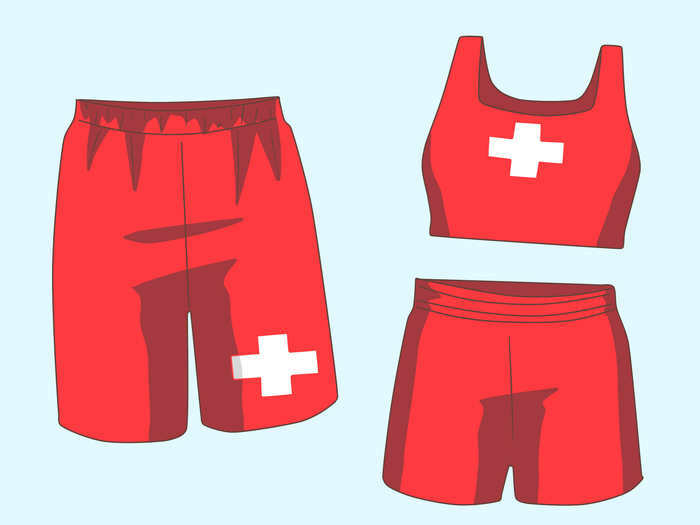 This attire should not be worn if you are not a trained lifeguard. Failure to dress properly may result in consequences from a supervisor.